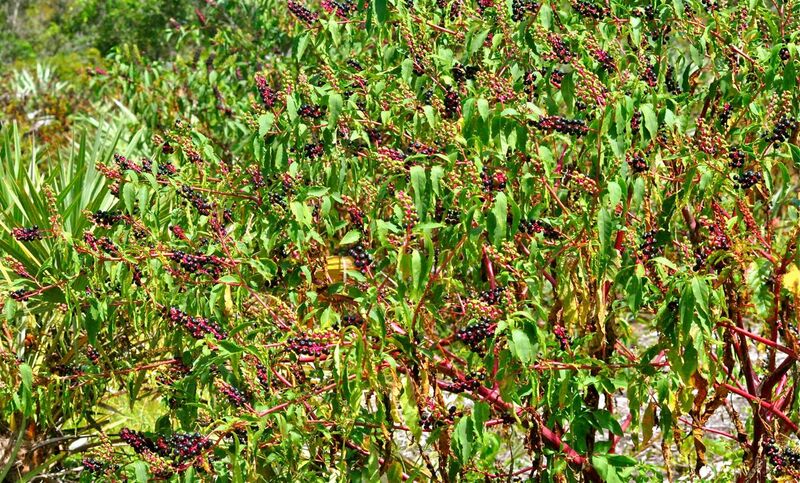 American pokeberry, photographed at Military Trail Natural Area, Deerfield Beach, Broward County in September 2013. American Pokeberry has more aliases than Richard Kimble used during the entire four-year run of The Fugitive. But more on that later. 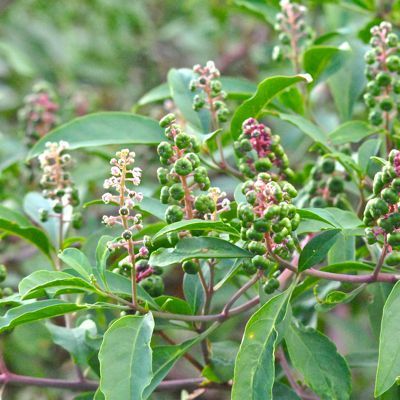 To the scientific world, it's known simply as Phytolacca americana. It has a reputation as being something of a nuisance, a poisonous, unattractive weed. But it actually has a few useful attributes as well, including some seriously potent medical potential. 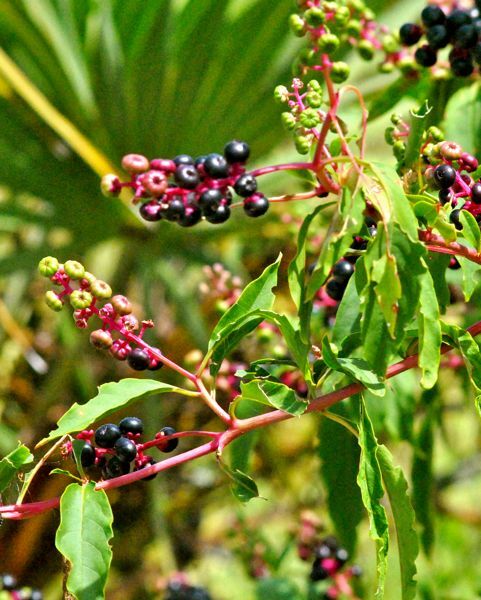 Pokeberry is a Florida native, found throughout almost the entire state. 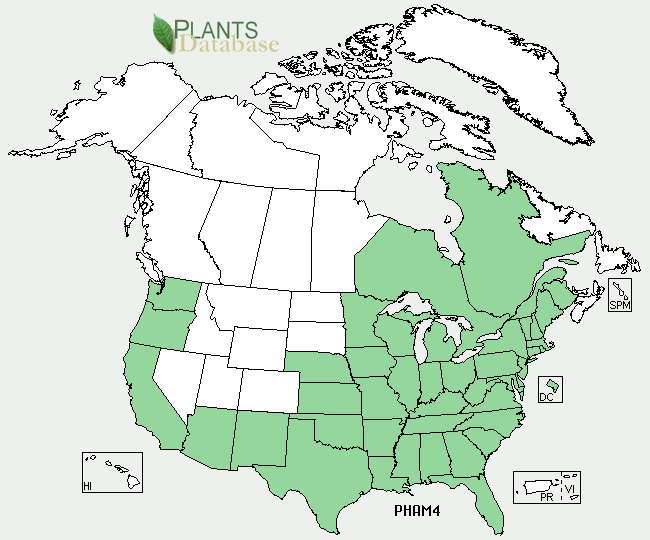 Its range extends through eastern Canada and most of the United States with the exception of the Dakotas and the Rocky Mountain states. It's also native to northern Mexico and Cuba and is an introduced plant in other parts of the world, including Europe. Pokeberry is a perennial. In most of its range, it will die back to its roots when it frosts, re-emerging in spring. It will grow to a maximum of about 10 feet. 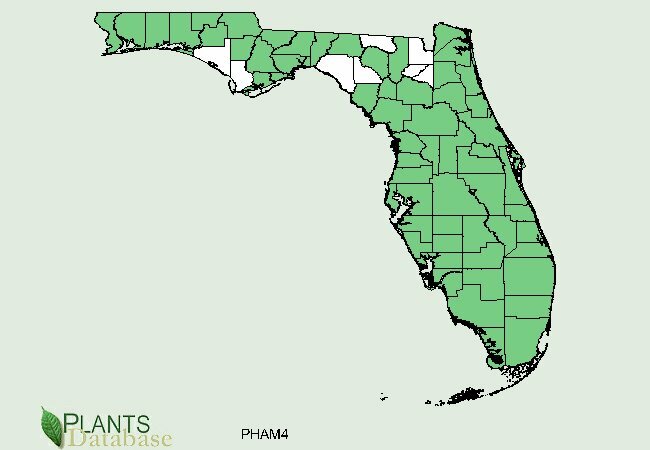 In South Florida, however, where it rarely frosts, the plants can become quite large. Birds will eat the fruit, but they are toxic to humans. In fact, the entire plant is toxic. Young, green shoots, however, can be eaten if properly prepared, which involves two boilings (boil once, change the water and boil again) to remove the volatile toxins. And that's the source of two of its alternate names — poke sallet and a corrupted version, poke salad, sallet being an old English word for cooked greens. Early colonists used the juice to color and sometimes improve wine (which undoubtedly says something of the quality of their wines). The berries have been used to make dyes and inks, however, and there's been some research indicating that pokeberry has some anti-viral and anti-tumor compounds in it. 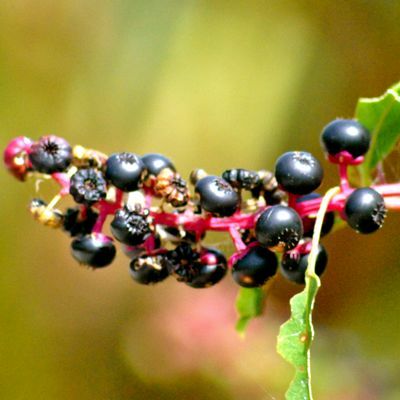 Pokeweed Antiviral Protein has been investigated as a treatment for T-cell leukemia, lymphoma, and Hodgkin's disease, and to inhibit the virus that causes AIDS. Native Americans used it to treat skin condtions, arthritis, colds and other problems. The Seminoles used it as an analgesic. Western herbalists used it to treat croup, skin problems, breast and throat irritations and glandular inflammations, while also noting that dangers of an overdose..
Fun fact: supporters of James Polk's run for the presidency in 1845 wore pokeberry twigs in their hats, believing the plant was named after him. 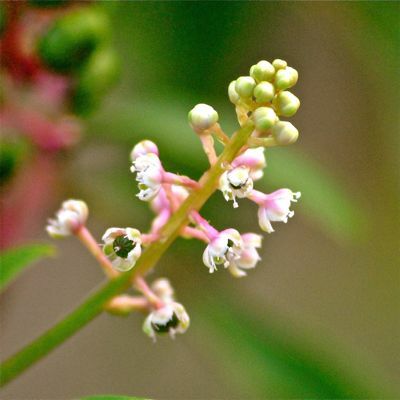 American pokeweed is a member of Phytolaccaceae, commonly known as the pokeweed family. Other names include inkberry, Virginia poke, American nightshade, poke weed, common poke weed, great pokeweed, pokeweed, pokeberry, red ink plant, pigeonberry and a whole lot more.